NicBase DIY – TPD ready nicotine bases from Chemnovatic. Nicbase DIY packaging is 100% TPD compliant. Tobacco Products Directive introduced by the EU puts multiple restrictions on manufacturing, packaging and sale of e-liquids and nicotine bases. As we all know, according to current regulations the sale of nicotine bases and e-liquids with nicotine strengths above 20mg/ml to the consumer is strictly forbidden, as is the sale of any liquids containing nicotine in packaging larger than 10ml. 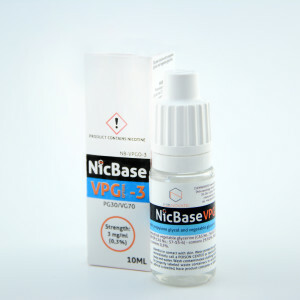 Nicbase VPG Optima-3 submitted to EU-CEG system. We are proud to announce that the first of Chemnovatic nicotine bases – the Nicbase VPG Optima-3 in a 10ml PET dropper bottle has been successfully submitted to EU-CEG (EU Common Entry Gate) in strict accordance with the Tobacco Products Directive regulations. NicSalt Shots vs. NicShots – nicotine salt shot and freebase nicotine shot comparison. Natural vaping products – nicotine bases, nicotine salts, flavourings. Why Natural Tobacco Extract e-liquid flavouring is the only tobacco flavour you will ever need. We have added a Livechat feature to our b2b platform. Our new B2B platform is coming soon! Leave your e-mail and we'll let you know as soon as it's available. In the meantine, you can contact us directly. CHEMNOVATIC Sp. z o.o. Sp. k.
The information presented on the website www.chemnovatic.com are addressed only to the business customers who are dealing with sales and production of liquids for electronic cigarettes.